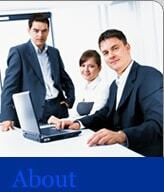 Lemington Consulting is an international information technology (I.T.) consulting company specializing in the design and development of quality, innovative information technology solutions for dynamic businesses, non-profit, and government organizations. With over thirty years of professional experience in the areas of information technology, our solutions help organizations to facilitate growth, compete more effectively, reduce costs, and work more efficiently. Now, with regional offices in Atlanta, Miami, Fairfax, Tampa, and Jacksonville, Lemington continues to expand it presence to better serve its international customer base. Lemington Consulting understands that technology is not an end in itself for most organizations, and therefore, we seek to design information technology solutions that incorporate an organization’s strategic and business objectives. We build long-term relationships with our clients, engaging each client at a higher level than would be possible otherwise. We back this client-centric focus with outstanding customer service and support, as well as a relentless commitment to quality in all aspects of our business. 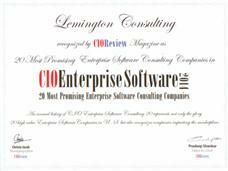 Lemington Consulting implements a wide range of information technology solutions including custom developed Windows and web solutions, enhancement of existing software applications, software application integration, database management systems, business intelligence, and server, network, and security infrastructure. Functionally, we focus on CRM, Microsoft SharePoint, Microsoft Office solutions development, project management, and accounting solutions. We employ highly experienced, certified professionals and utilize best-in-class tools to implement the highest quality information technology solutions. Lemington Consulting serves a diverse client base across all sectors of the economy including private industry, government, and non-profit organizations. Our clients come from diverse industry backgrounds including financial services, telecommunications, media, construction, hospitality, professional services, consumer products, industrial, and health care. We serve businesses of all sizes, ranging from small business to Fortune 1000 companies. Lemington Consulting’s clients share a common desire to increase revenue, reduce costs, improve customer service, improve workforce collaboration, and increase resource utilization. For more information about Lemington Consulting, please contact us.